See Special Deals on Facebook Page!! 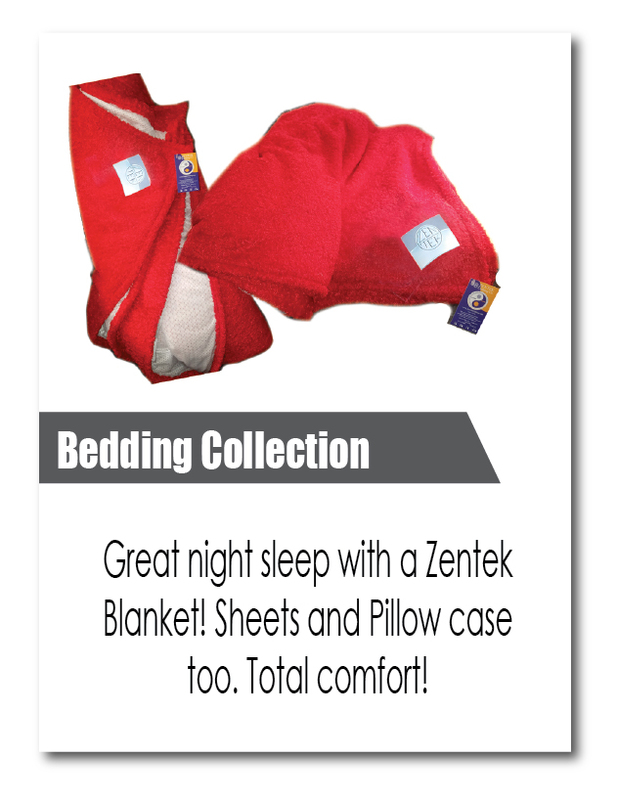 Zentek uses the latest in fabric technology. that activate to surrounding temperature changes. 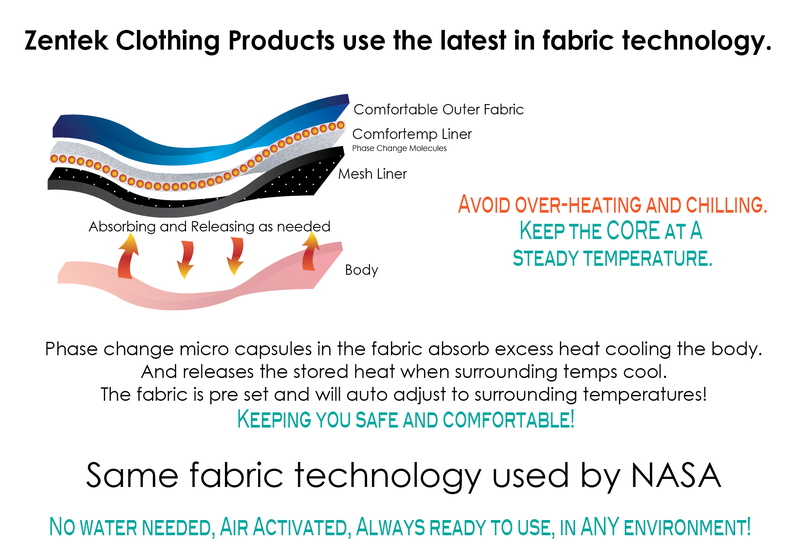 Originally developed in the 1960’s for use in NASA spacesuits, PCM (Phase Change Material) can change its physical state according to their surrounding temperature. mPCM are tiny capsules containing PCM (Phase Change Material) that have been adapted for use in consumer markets. Depending on the individual situation or activity level they absorb excess body heat and store it until it is needed again. This keeps you in the comfort zone. 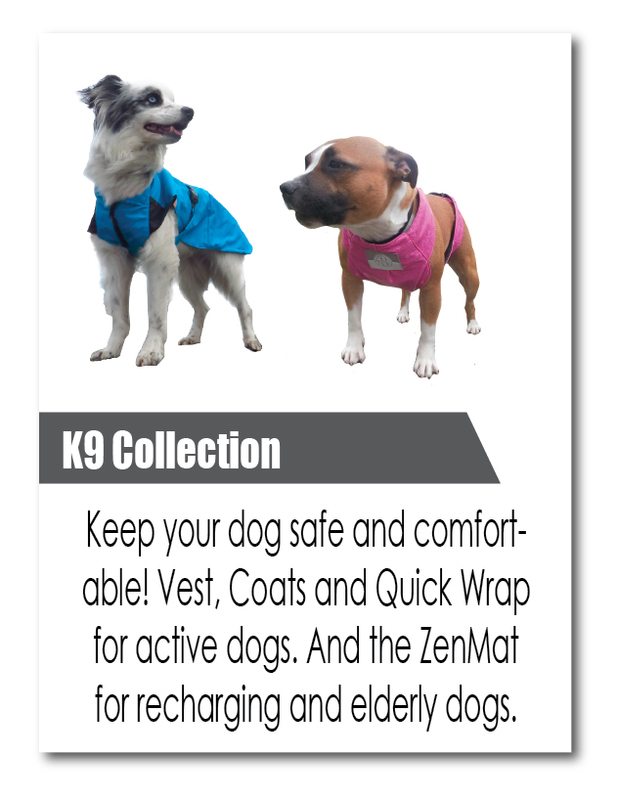 All content/product provided by Zentek Clothing is not intended to be advice of your physician or other medical professionals. Health related questions should be directed to your physician or provider. In case of emergency, call your physician or 911 immediately. By using Zentek Products, you expressly agree that you assume and are responsible for all known and unknown risks associated with your activities. 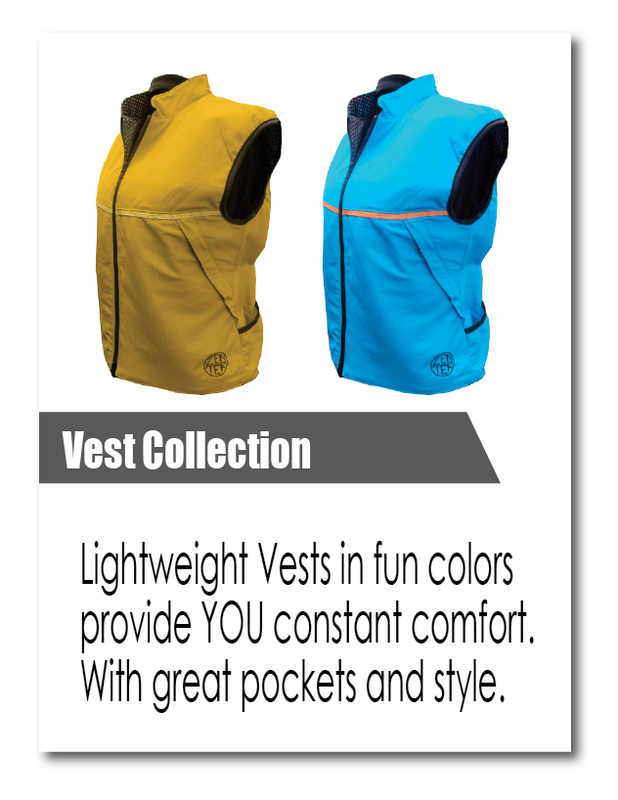 (Biking, fishing, hiking, boating etc). 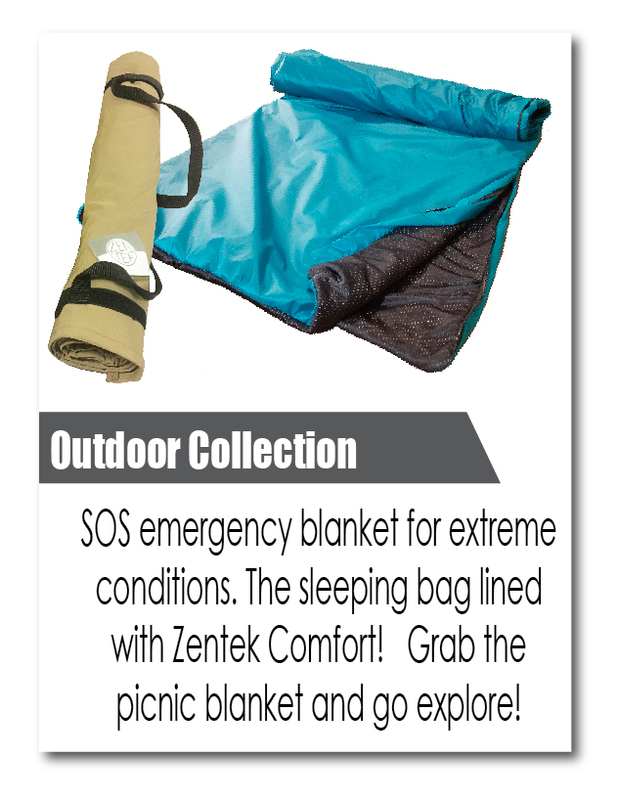 While Zentek Products are amazing, and will protect you during activity, some extreme conditions maybe too much for your body, and care should be taken. 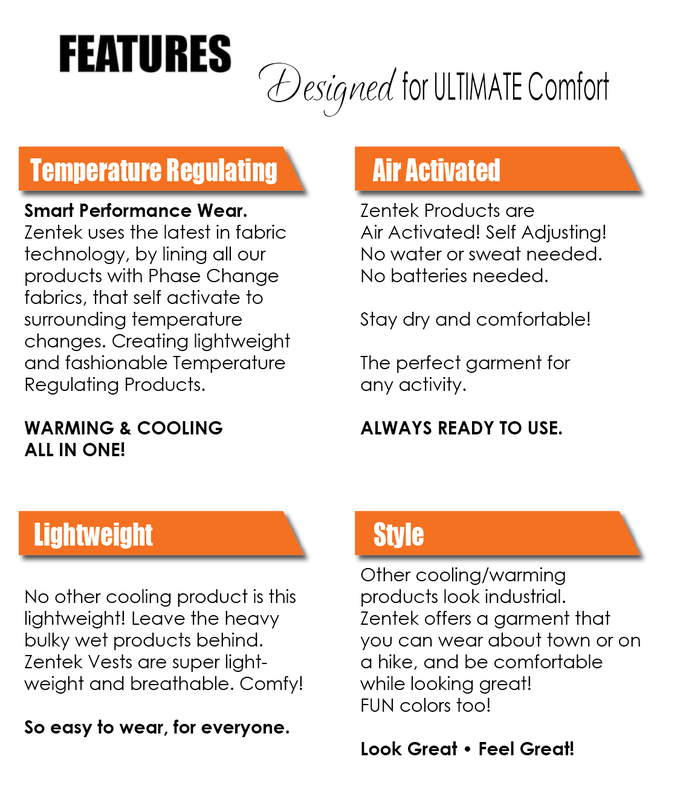 Zentek Products are a supplement item to aide in cooling and warming, and should be used with common sense.